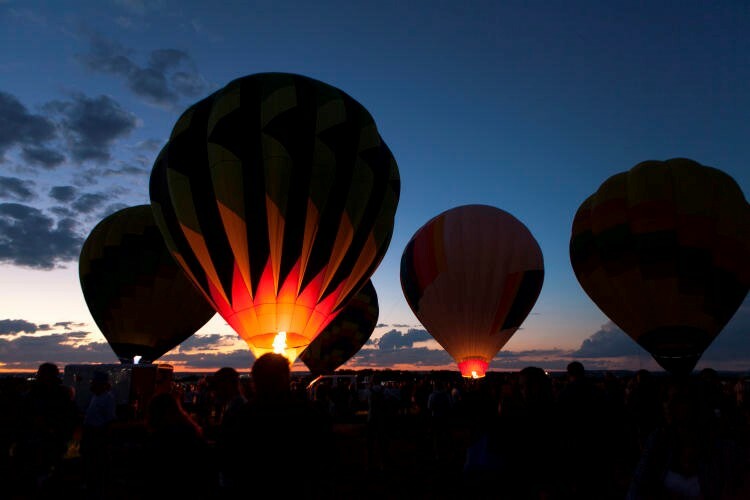 Albuquerque International Balloon Fiesta Well Underway! 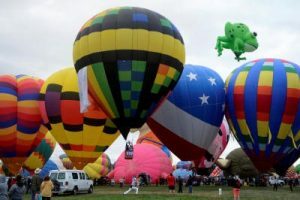 The 44th annual Albuquerque International Balloon Fiesta has gotten off to a great start with more than 500 balloons of all different shapes and sizes filling the skies over New Mexico this week. The annual event sees over 500 balloons representing 20 different countries over the 9-day event which opened on Saturday 3rd October 2015. It started with the Krispy Kreme Morning Glow and balloons lit up the sky with the evening night glow on Saturday. This evening will see another wonderful night glow, laser light show and firework display. And despite the changeable weather in the region, the mass ascent on Monday morning was a great success with Kermit the Frog appearing to lead the launch! Our own Bristol International, Balloon Fiesta this year in Bristol was a great success with the fantastic weather over the whole weekend, meaning that Aerosaurus Balloons and our sister company Bailey Balloons were able to fly over 400 passengers! 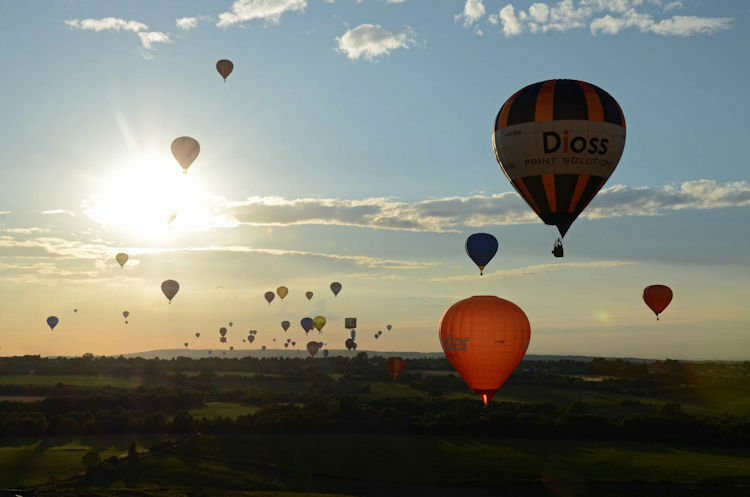 2015 saw over 120 balloons launch from the official Fiesta site at Ashton Court Mansion House & Grounds and float peacefully over the city at dawn and dusk. Passengers were able to enjoy a bird’s eye view of some of Bristol’s most famous landmarks such as the Clifton Suspension Bridge, Brunel’s SS Great Britain, Queens Square and the fabulous countryside surrounding the historic city. One lucky flight even landed close to a Concorde at Filton! The night glow and fireworks on the Thursday and Saturday evenings were spectacular and certainly didn’t disappoint the huge crowds of spectators! 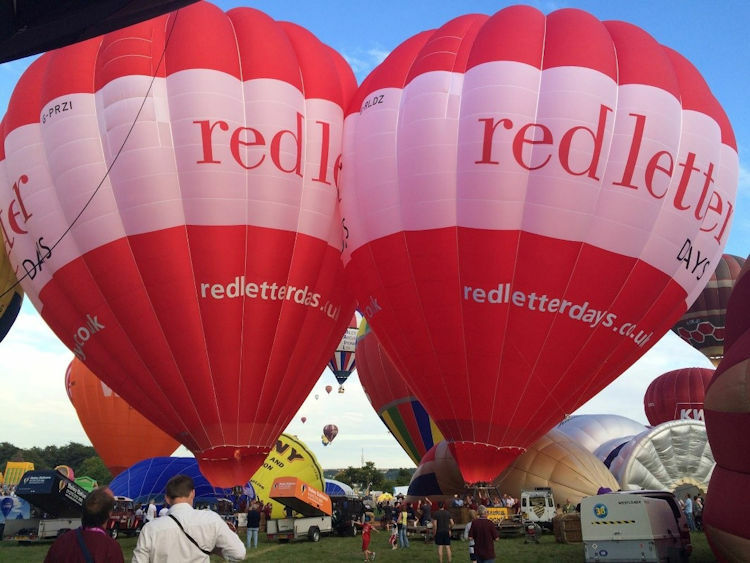 The 2015 Fiesta also saw our new Red Letter Days balloon take its maiden flight on a Thursday evening, piloted by Gavin Chadwick. Since then the new balloon has enjoyed many flights over the Somerset, Dorset and Wiltshire areas. We are already looking forward to reuniting the ‘twins’ at next year’s event! 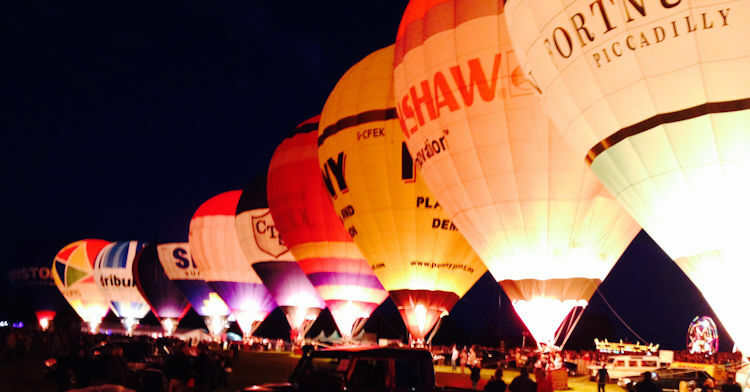 Preparation for the 2016 Bristol Balloon Fiesta has already begun and we can’t wait to see what next year holds! To be a part of the magical experience and join in on one of the mass ascents – book now! Flights sold out early this year for 2015 so don’t delay! Prices start from £200 per person for the experience of a lifetime!